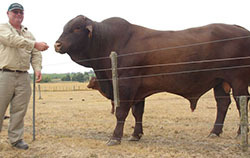 This competition has generated additional interest and discussion from stud and commercial producers who were keen to see the quality of a stud's future breeders. 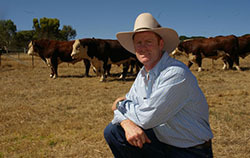 A single judge will ASSESS ALL ENTRIES on their BEEF WEEK DAY. The 10 finalists will be announced and the champion and reserve champion named at a special dinner soon after Beef Week ends. Each entry to consist of 10 registered heifers (from primary or secondary registers) from the 2017 drop. This opens the competition for both autumn and spring calving herds. An entry may consist of a mix of primary and secondary registered heifers. A primary register is for fully 'herd book' registered animals. Because 30% of registered cattle in Australia now reside in secondary registers, it is deemed appropriate they should be included. 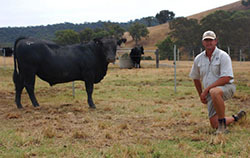 A secondary register, according to the Australian Registered Cattle Breeders' Association (ARCBA), covers animals that are bred for seedstock production and recorded by a beef breed society but excluding animals entered on the society's herd book. The judge, who will visit each entrant on their Beef Week day (except for unexpected circumstances) will announce their arrival and may request the age range and other information of the heifers. Breedplan figures are not required and will not be taken into consideration. Each entry to be of one breed type. 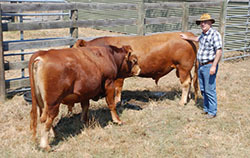 Horned and poll heifers can be included in the one entry or as separate entries. The heifers should be yarded in a confined area and clearly identified as an entry with special pen cards supplied by Beef Week. Should an entry be withdrawn, entrants must notify Beef Week on beefweek@ozemail.com.au or 0411 413 599 so the judge can readjust the tight itinerary. Within 24 hours of the end of Beef Week 10 finalists will be named and advised and invited as special guests to a presentation dinner in central Victoria where presentations will be made to the finalists and the champion and reserve champion announced. Stock & Land will provide an extensive coverage of this event.